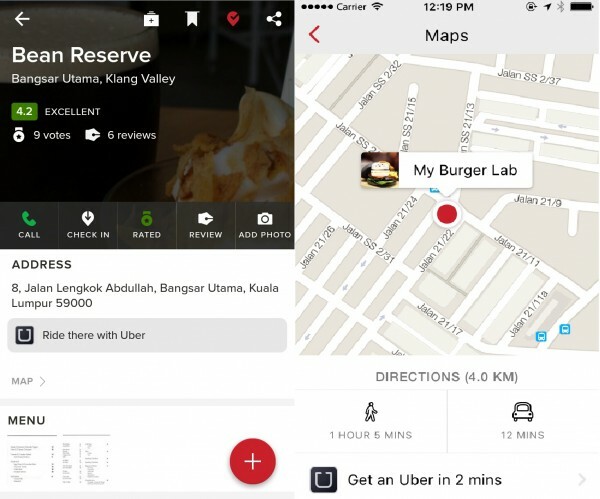 Zomato – a restaurant discovery and food ordering app – has announced its partnership with ride sharing giant, Uber, to provide better services for customers using the app. Zomato users will now find an Uber “ride request” button present inside the app that will enable them to book an Uber ride to their desired restaurants from through the app itself. This means that Zomato users will no longer need to manually input the location of a restaurant they found on Zomato in the Uber app, which may be a daunting task to some. This is possible by integrating the Zomato app with an Uber API called a “ride request” button. The ride request button was first announced by Uber late last year. 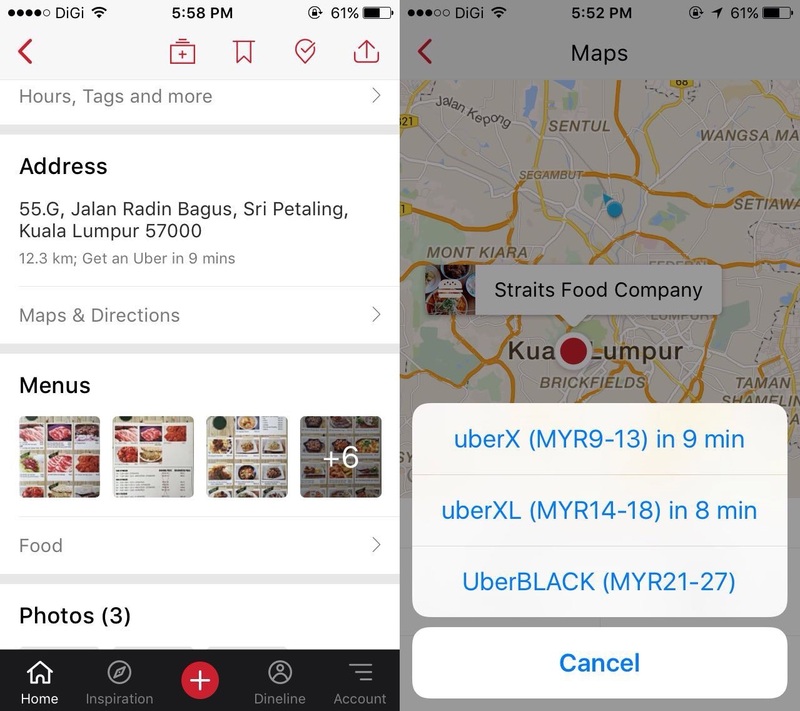 Eddy Han, Assistant Vice President of Zomato Malaysia, mentioned that Zomato is focused on refining its users’ dining experience by providing additional in-app features services over time. Hence, the partnership with Uber. Meanwhile, General Manager of Uber Malaysia, Leon Foong, described the partnership as “exciting” and beneficial for both companies. To use the feature, one needs to first click on a desired restaurant inside the Zomato app. Next, on the address column is where one can find the option to get an Uber ride along with an approximate pickup time. After clicking the preferred Uber service, the Zomato app will then switch to the Uber app for users to confirm the ride request. According to Zomato, the feature has also been rolled out across various cities in countries such as India, Australia, UK, South Africa, Indonesia, New Zealand, Philippines, Portugal, Qatar, Turkey, UAE as well as the US. More information regarding the Zomato app can be found here.